A forum of the world’s five largest intellectual property offices, known as IP5, emphasized its new vision for a stronger and more flexible intellectual property system that can adapt to the fourth industrial revolution at an event marking 10 years of global cooperation. 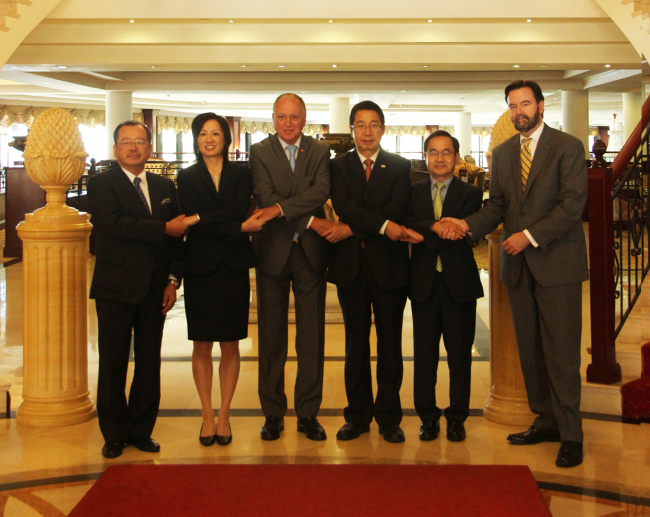 The heads of IP5, including Lee Young-dae, acting commissioner of the Korean Intellectual Property Office, gathered together in Valletta, Malta on May 31 and June 1 to take stock of all the achievements made by the offices the past decade and set up a new blueprint for the future direction of office’s initiatives. 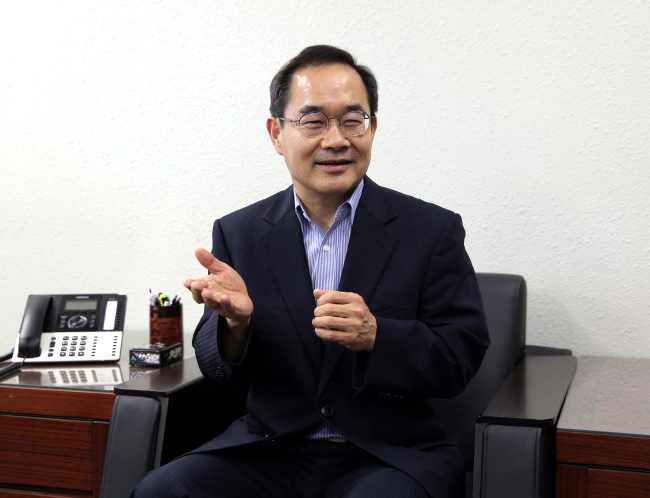 “The IP5 has played a pivotal role in the development of the global IPR system in the last 10 years since the IP5 system was launched in 2007,” said Lee in an interview with The Korea Herald. Combined, IP5 handles roughly 80 percent of the world’s patent applications and 95 percent of all work carried out under the Patent Cooperation Treaty. Established in 2008, IP5 members include the Korean Intellectual Property Office, European Patent Office, Japan Patent Office, the State Intellectual Property Office of the People’s Republic of China and the United States Patent and Trademark Office. According to Lee, the patent offices have adopted a new vision to cope with the fourth industrial revolution. The IP5 heads claimed that in order to promote innovation and growth, the protection of patent rights should be strengthened and a strong and flexible intellectual property system should be established. “IP5 and industry officials discussed the potential effects of the fourth industrial revolution on various technological fields as well as effects of the revolution on patent applications, patent classification and examination practices,” said Lee. “The new cooperation vision of IP5 is to promote an efficient and user-friendly international patent environment, which is a cost-effective and user-friendly international patent landscape,” he added. As part of its new future vision, the patent offices have also agreed to launch the Patent Cooperation Treaty Collaborative Review pilot program next year on May 1. The PCT is an examination process that consists of an international phase that determines patentability through prior art searches and a national phase, which determines the final patent status after entering a country. IP5’s PCT collaborative review will focus on enhancing the credibility of the patentability judgment by complementing the strengths and weaknesses of each agency’s language and technology field through joint examination. “As a result, it is expected that the examination burden will be reduced in the national phase and will further ensure the security of an applicant’s rights,” Lee said. The IP5 Offices envision: patent harmonization of practices and procedures, enhanced work-sharing, high-quality and timely search and examination results, and seamless access to patent information to promote an efficient, cost-effective and user-friendly international patent landscape. Building on the 2015 and 2016 IP5 joint statements, the IP5 Heads of Office restated the vital importance of industry involvement in the IP5 co-operation and renewed their intended commitment to strengthening the dialogue with industry stakeholders from the IP5 regions to ensure that the IP5 projects support the needs of the user community effectively. (1) Pursuing efforts towards patent harmonization of practices and procedures within the IP5: against the background of growing numbers of cross-filings, the IP5 offices endeavor to strengthen their efforts to explore the potential for harmonizing aspects of their patent practices and procedures to reduce the workload and costs for applicants filing their applications in multiple jurisdictions in parallel. (2) Optimizing quality management: the IP5 offices aim to work toward the continuous improvement of patent quality and the delivery of high quality products and services. (3) Maximizing the work-sharing potential within the IP5: recognizing the Patent Cooperation Treaty as one of the most successful international frameworks for work-sharing, the IP5 offices plan to continue to work with World Intellectual Property Organization towards optimizing the solid functioning of the PCT system, including testing a collaborative concept for international searches under the PCT, and explore other work-sharing options tailored to the changing examination environment. (4) Improving patent information services: the IP5 offices strive to intensify work on the Global Dossier taking into account users’ needs, and promote easy access to and in-depth utilization of patent information.